Law Enforcement Police Challenge Collectible Coin | BUDK.com - Knives & Swords At The Lowest Prices! Commemorate your police officer pride with this handsomely crafted challenge coin. 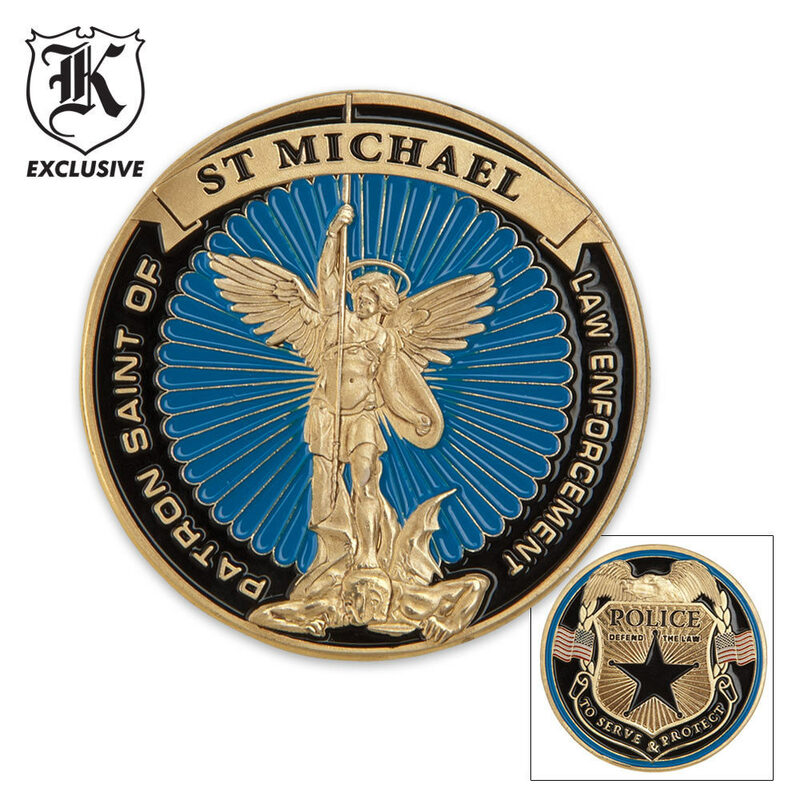 Featuring color artwork depicting a police shield and insignia on one side with the phrase “To Serve and Protect," and a depiction of Saint Michael on the other, this coin is perfect for the police officer in your life. Measures 1 ½" diameter.